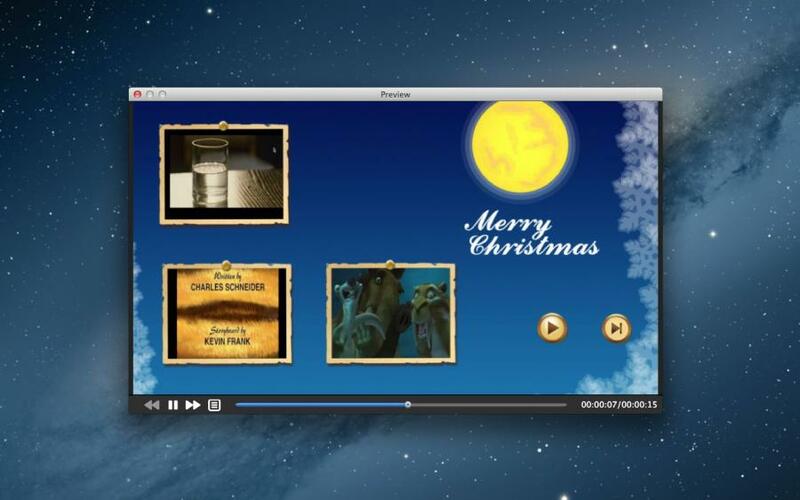 30+ free DVD menu templates. 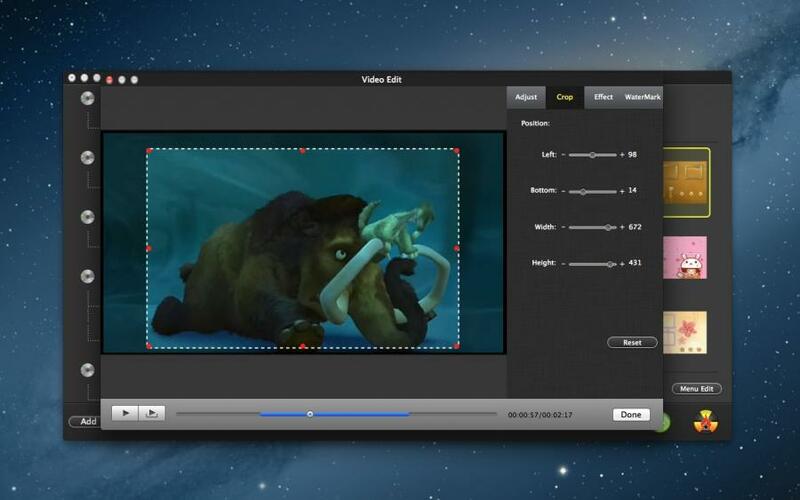 DVD Creator Pro - Burn Video is a very easy-to-use DVD maker tool. 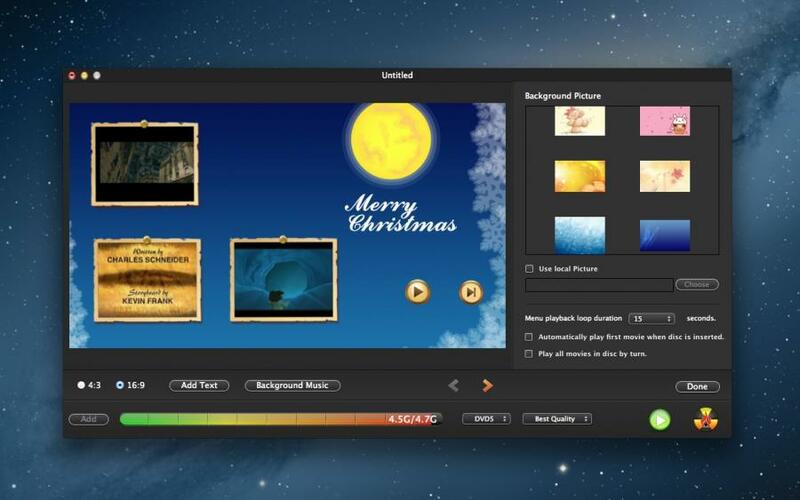 This application provides a number of free yet gorgeous DVD menus, you can custom menu background music and background picture. 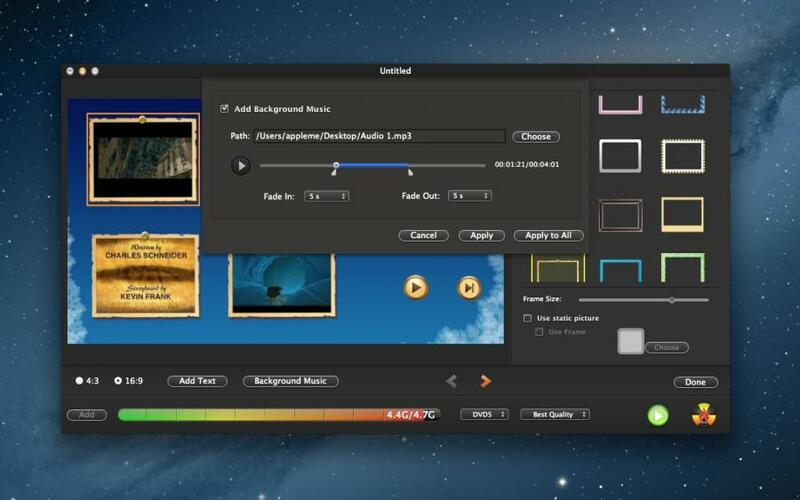 Besides, this DVD burner lets you edit videos using tools like trim, crop, rotate, watermarks, etc. It can be iDVD alternative. Get DVD Creator and share all your movies with family and friends now. DVD Creator Pro - Burn Video is a professional tool for burning all kinds’ videos and movies into a blank disc, help you to make a dvd. 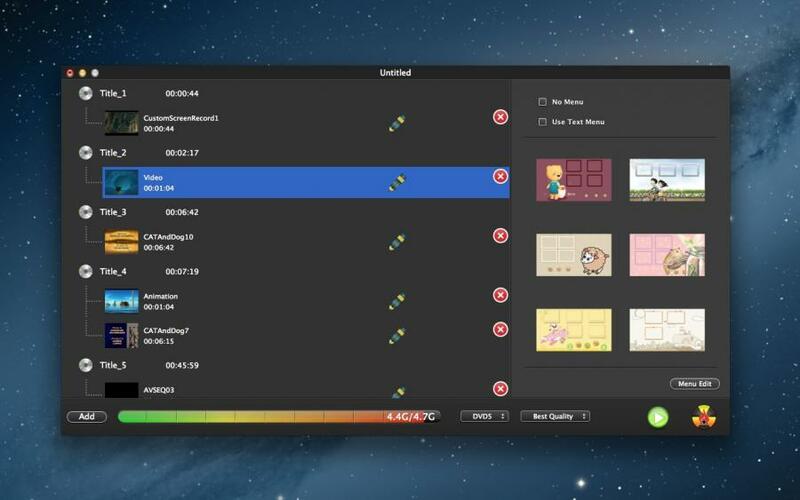 DVD Creator Pro creates personalized DVD movies from footage of favorite family moments and burns movies and TV shows to DVD with high quality and at fast speed . DVD Creator Pro - Burn Video support video formats (AVI, Mp4, MOV, M4V, FLV, WMV, MKV, RM , MPEG, TS, RMVB, TP, MTS, M2TS, MPG, Dat, 3GP, 3G2, 3GP2, dv, mod; f4v, ASF and many more). Supports almost all popular videos' formats to burn into a DVD. 1. Add your own background music/picture, set title thumbnail, etc. to customize the DVD menu as you like. 2. Provide many menu themes. 3. Custom title frame picture on menu. 14. Support almost all popular video formats.